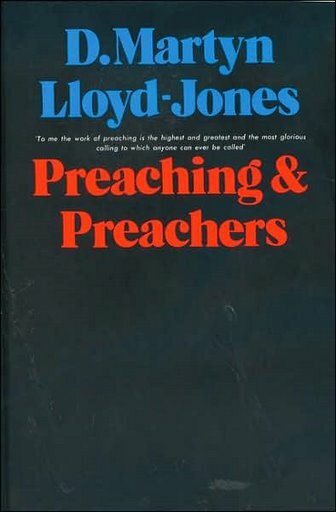 I’ve been slowly chipping away at Martin Lloyd-Jones Preaching and Preachers this year. In the next few posts, I want to share some of the ways it has helped me. The first has to do with what preaching that is both Christ-centered and expository looks like. An abiding intellectual struggle of mine over the last 2 years or so has been how exactly to preach Christ from various different kinds of biblical texts. Put simply, here was the issue: if the goal of expository preaching is to say the meaning of the text from which I am preaching, how do I “get to” the gospel in the sermon when I don’t see a clear gospel inroad in the passage? The entire purpose of expository preaching is to let the text speak for itself, rather than adjust and modify it according to our own systems and ideas. Is it, then, “imposing a system” onto the text to speak of propitiation while preaching in Proverbs, or atonement in James, or justification in Esther? Its a complex question, involving issues as basic as how we define the gospel and as practical as how large of a text we choose to preach from. Reading this started a chain of thought about why we choose particular texts to preach from in the first place. I started to see that the importance of preaching the meaning of a particular passage must be balanced with the more general responsibility to preach the gospel message of all of Scripture. At the top of the page I wrote: “the goal of a sermon is not merely to exegete a text. Its to exegete a text in relation to its entire canonical context, the biblical gospel narrative of God redeeming His people through Christ.” In other words, we should preach the meaning of the text. But that very meaning is determined in part by context. And the ultimate context of any text (at least for someone who accepts biblical inspiration) is the entire canon of Scripture, which must be interpreted as a whole even as it plays a role in helping us interpret individual texts. Thus the Bible doesn’t merely define the gospel. Once this is so, the gospel then helps us turn back around and interpret the Bible itself. Once we’ve seen the whole from enough the particulars, the whole helps us in turn see the remaining particulars.